McClendon, who died tragically in a car accident in 2016, was an early proponent of the drilling technique known as hydraulic fracturing, or fracking – a technology that drove Chesapeake’s success and the U.S.’s energy resurgence. 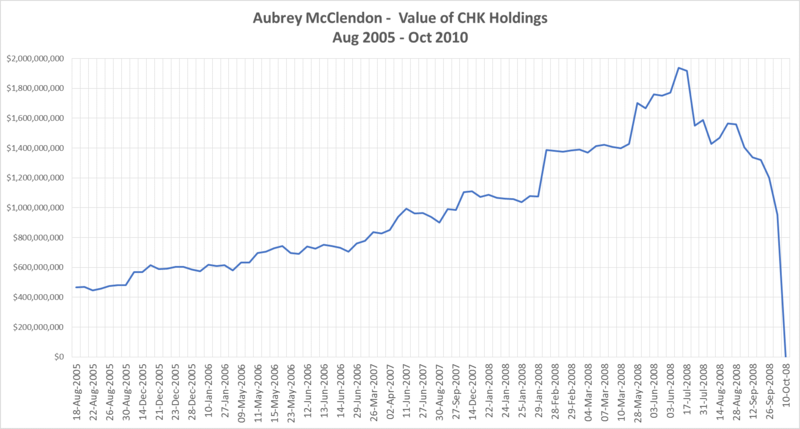 As the summer of 2008 began, McClendon owned over 32 million shares of Chesapeake, making him worth over $2 billion dollars based on his CHK holdings alone. He also owned 19% of an NBA team, a wine collection valued at over $7 million, antique maps worth $12 million, antique boats worth $9 million. He had homes in Bermuda, Hawaii and Colorado. Though a multi-billionaire, he was ever the free-spirited, risk-loving wildcatter, with an insatiable appetite to acquire. He was also a master of using creative financing – borrowed money — to achieve his goals. From August of 2005 through July of 2008, McClendon bought 16.8 million shares of Chesapeake stock on the open market as his company’s shares appreciated. He received at least another 3 million shares in grants and options over that time. Over this period, he didn’t sell a share of CHK. Investors marveled at his continual open market buying of his own stock. However, there was something he wasn’t disclosing – he was using margin to pyramid an ever-larger position. When the price of CHK imploded, he was in trouble. Lehman Brothers bankruptcy filing on September 15, 2008 began the worst phase of the financial crisis. At that point, Chesapeake stock was still trading for $36. However, in the wake of Lehman’s sudden demise, the investment world began questioning the value all public companies. And as selling escalated, massive margin calls were generated — brokerage firms mercilessly liquidated customers’ account holdings to settle loans. For many stocks, the forced selling drove a vicious cycle — crashing prices led to margin calls, which caused more selling and thus more margin calls, etc. It appears that Chesapeake stock was caught in such a cycle, though based on SEC filings, McClendon’s account didn’t experience forced margin selling until October 8. Below are his actual sales for the period, based on his Form 4 filing. 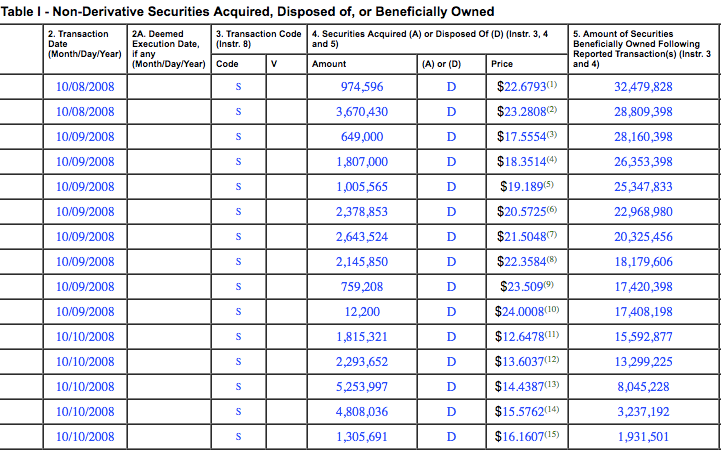 These were the only open market sales Aubrey McLendon ever made as an insider with Chesapeake. The public filings of McClendon appear to bear this out. Assuming he had a margin loan of $500 million against his 32 million CHK shares when the stock was valued at $2 billion, a fall in price from $65 to $22 would put his account equity at roughly 25% of market value – a level where brokerages typically issue margin calls. 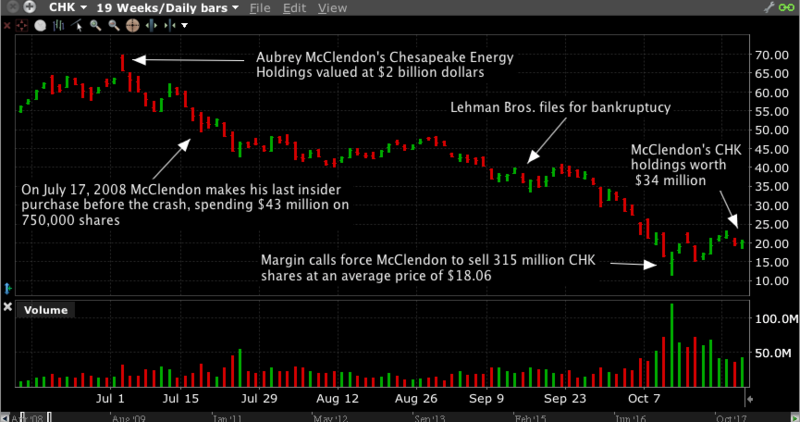 Undoubtedly McClendon’s forced selling on October 8 – 10 contributed to the final CHK meltdown. In 2009 Chesapeake Energy’s board – handpicked by McClendon — awarded the Chairman and CEO a $100 million pay package, including a $20 million stock grant, and other financial benefits. This led to a series of lawsuits which ultimately resulted in McClendon being stripped of control of the company. In January of 2013 McClendon left Chesapeake and started a new company, American Energy. 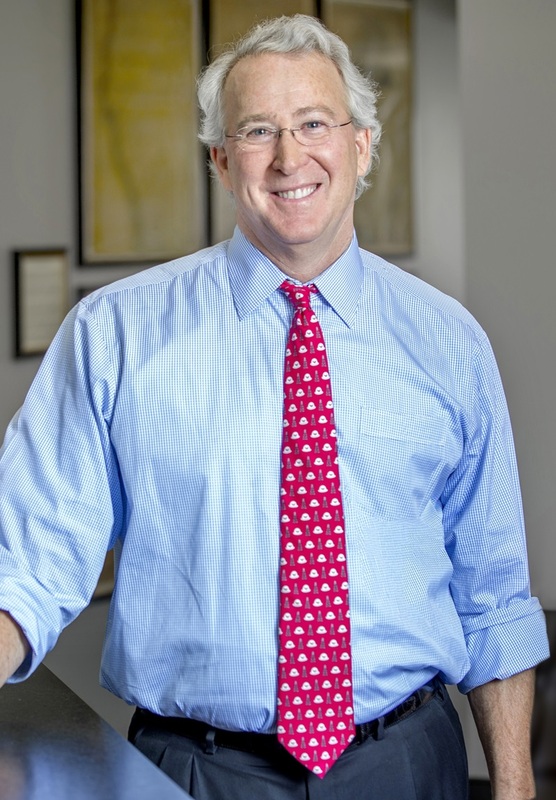 On March 1, 2016, Aubrey McClendon was indicted by a federal grand jury on a charge of conspiring to rig the price of oil and gas leases. He denied any wrongdoing. The next day the 56-year-old’s Chevy Tahoe crashed into a bridge underpass at high speed. McClendon was the only occupant. Police ruled his death an accident, and prosecutors subsequently withdrew the charge. Sign up here to receive the ongoing series on insider trading.